Snow on a golf course is a good thing?! Snow pack on a golf course is a VERY good thing! Up until this past Friday, we were struggling to keep more than 2 inches covering our dormant turf. When the turf is exposed for prolonged periods of time in the winter months, it becomes susceptible to desiccation. Another benefit of having snow cover on the golf course is that it provides a nice warm blanket for the turf. Under the snow, the temperature never drops below or rises above 32F. Although still on the cold side for grass, the turf can sustain these temperatures quite nicely, as opposed to the extreme lows we saw at the end of January. When the snow covers up, the plant doesn’t need to consistently guess which period it should be going through. 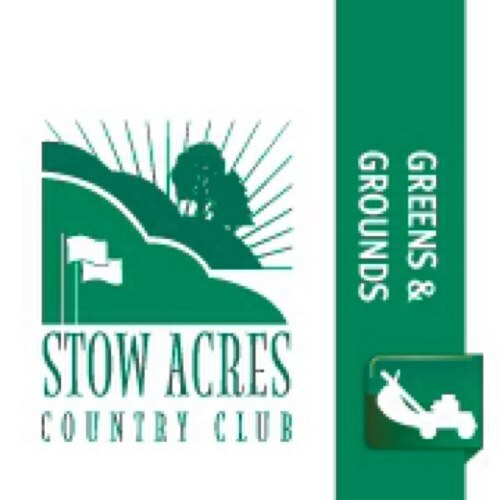 Although this article below discusses winter injury, Stow Acres is in great shape entering mid-February. We just got our snow cover a brief time ago, and the purpose of the article below is to illustrate the importance for constant monitoring by a professional turf team consistently throughout the winter months. For a more detailed explanation, please read the following article posted by the USGA: Snow. We’re Starting To Get Concerned About How Long The Snow Is Hanging Around On Our Golf Course Greens. What Should Be Our Top Priorities? Snow cover is not necessarily a bad thing, but several factors need to be evaluated. The following actions should be considered as we enter the final stretch of the winter season. • Begin checking under covers and ice layers for the presence of anaerobic conditions (a distinctive sulfur odor indicating dying grass). On areas of concern for potential damage, pull turf plugs and bring them inside to see if they start to green-up when placed in a warm, sunny window . • Make plans to lift or vent under impermeable covers if a smell is detected. With no smell, there’s no problem at this point. • Begin to monitor temperatures under impermeable cover systems, as snow cover is lost and the sun’s strength increases. Start the process of removing the impermeable covers once temperatures beneath the covers reach the 41°F-43°F range consistently. Plant hardiness declines rapidly at those temperatures. Use a permeable cover to protect the exposed turf while it re-acclimates to the new environment. • Initiate the process to remove ice sheets if an anaerobic condition is detected at the surface of annual bluegrass greens. The recent rains and warmer temperatures in the forecast may offer a window to do so for some, while the wet, heavy snows will make that more difficult further north and west. There is always a risk associated with that action, but there are few options if the anaerobic condition is detected. Use a permeable cover or blow snow back over the recently cleared surfaces to protect the exposed turf, if necessary. • Keep an open channel of communication with golfers so that they are aware of golf course conditions during the transition to spring. Winter injury is a very complex event, controlled by many variables that are a long way from being completely understood. The techniques that are used to protect the turf are improving, but are not, and probably never will be, perfect. There is always a chance that you can do everything right, and still be wrong and suffer winter injury. The best we can do is to try to identify the specific causes of injury and then address as many of those factors as possible with the available management options. This reconfirms why it is a good idea to periodically pull grass plugs throughout the winter, especially following weather events when the turf may have been hydrated and then subjected to very cold temperatures. Thanks for your support and understanding this year. We look forward to opening the golf course as soon as nature allows. See you on the course! Categories: A Word from the Superintendent... | Tags: february, golf course, snow, turf, USGA, winter | Permalink.